HomeRogue StatesWeapons system video of first F-22 Raptor air strike on ISIS in Syria. This video shows an attack on a ISIS compound that, according to the Pentagon, was struck by F-22 Raptors at their baptism of fire. 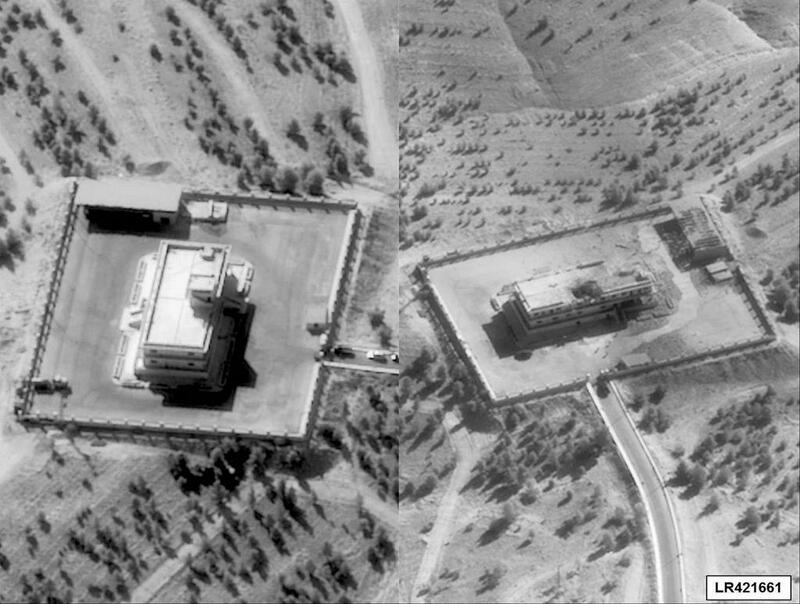 Earlier today, the Pentagon released the imagery of a compound near Ar Raqqah attacked by U.S. Air Force F-22 Raptors before and after the raid conducted by the stealth jets. Now take a look at the following video, recorded by an unspecified aircraft on board camera system of this ISIS compound northwest of Ar Raqqah. It’s the very same shape, damage and all, hence it must be the very same plane. What remains unknown is what F-22 system recorded the footage (provided it was the Raptor and not a drone). Was the Raptor equipped with an IRST (Infra-Red Search and Tracking) system? Or maybe the one above is not a video recorded by a lens but it is a radar image generated by the F-22’s APG-77v1 radar which provides high-resolution synthetic aperture radar mapping, ground moving target indication and track (GMTI/GMTT), automatic cueing and recognition, combat identification, etc. It would be at super-high-definition, so defined it seems a video recorded with a FLIR…but who knows, maybe the F-22 uses such an advanced radar…. Still, SAR can see through smoke, fog etc. so, it’s quite unlike it is an image taken by the plane itself. It was most probably taken by a nearby drone (raising the question: if a drone was operating nearby, why wasn’t a Reaper dispatched to hit the compound? ).